Luxembourg – ESM Managing Director Klaus Regling welcomed former ECB President Jean-Claude Trichet to the second ESM Conference to discuss ‘Economic, Fiscal and Financial Governance of the Euro Area: Lessons from the Crisis’. 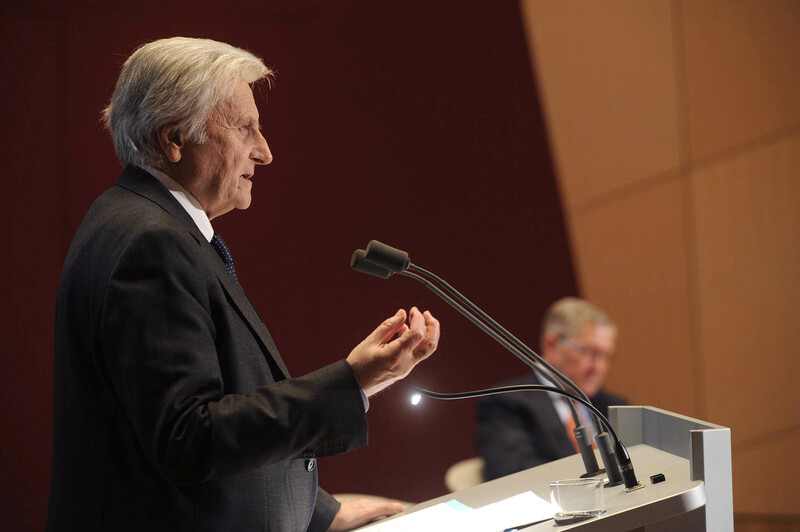 Speaking before an audience of financial professionals and policymakers in Luxembourg’s Philharmonie, Mr Trichet underscored the need to make Economic and Monetary Union (EMU) more robust, and laid out his views on the need for further integration of the Euro area and the European Union. Mr Trichet was President of the European Central Bank (ECB) from 2003 to 2011. Previously he served as Governor of the Banque de France, Director of the French Treasury and Chairman of the Paris Club. Today he is a member of the Board of Airbus Group. Furthermore, Mr Trichet is Chairman of the Board of the European economic think tank Bruegel and of the Group of Thirty. The ESM Conference invites renowned public figures to discuss policy issues, contribute to current debates, and create a greater understanding of European integration. At the previous ESM Conference, former IMF Managing Director Jacques de Larosière spoke about ‘The Future of European Banks’.